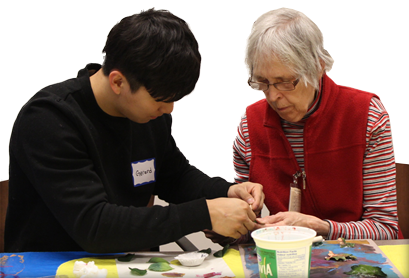 In-Home Recreation offers a recreation and leisure assessment with a Certified Therapeutic Recreation Specialist (CTRS) to create personalized activities for clients living with dementia. After the development of the personalized plan, the CTRS will provide a carefully selected volunteer, who has completed specialized training and rigorous screening, to facilitate the activities and provide social and cognitive stimulation to the client through ongoing weekly visits. 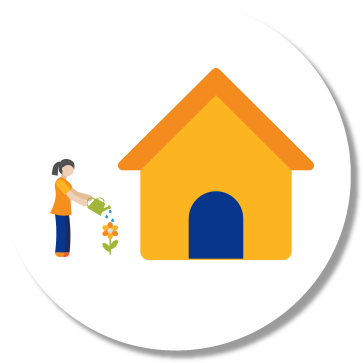 This program will also empower care partners by teaching a variety of activities, educational opportunities and support in the comfort of their own home. New referrals will be accepted for In Home Recreation Program starting July 1, 2019. PLEASE NOTE: Clients must be registered and undergo a brief assessment with a Social Worker to determine appropriateness for program prior to participation. To register as a client, please contact our Intake Coordinator at intake@alzheimerlondon.ca or 519-680-2404 ext. 224.